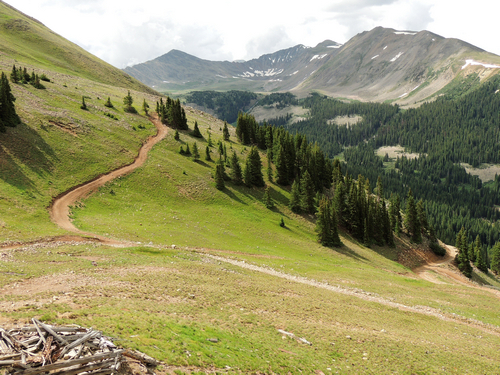 A Jeep trail full of Colorado history and nice scenery. This photo shows Pomeroy Gulch from Mary Murphy Mine. 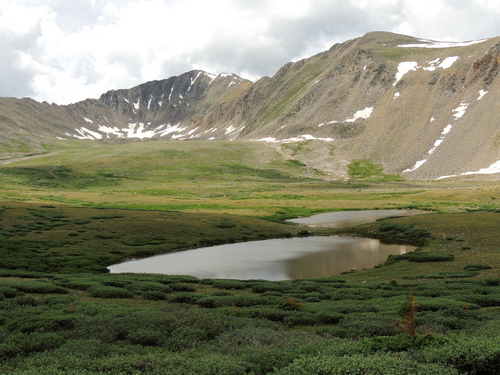 Pomeroy Lake is at the head of the gulch. 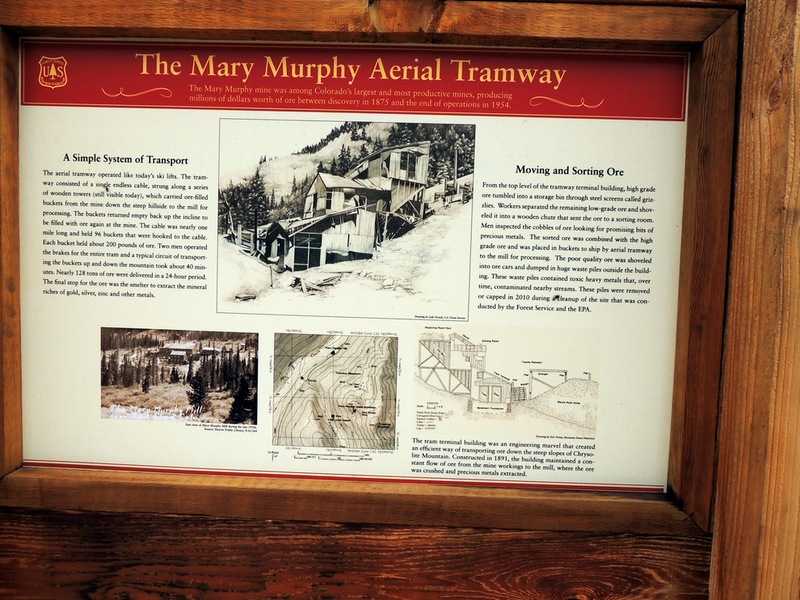 Mary Murphy Mine sent ore downhill to the Tram Terminal, which is still standing. It is the first major attraction you come to. 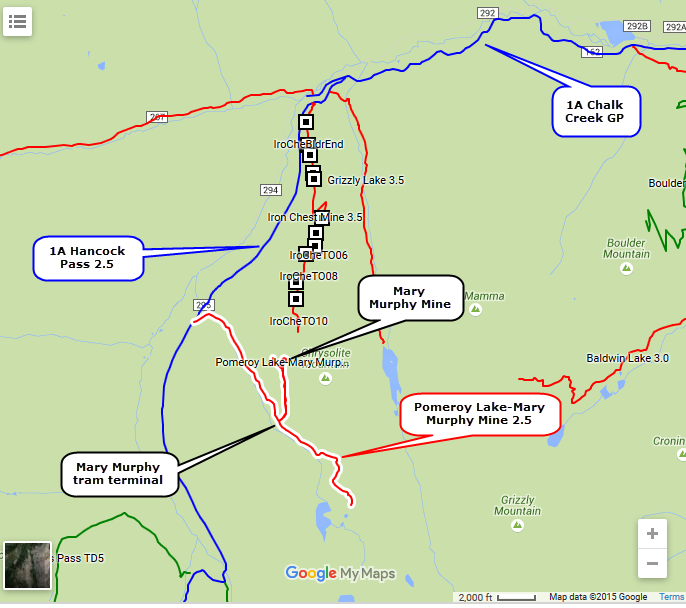 Ore went from here to the Mary Murphy Mill, closer to Chalk Creek. The sign at the terminal site explains the process. 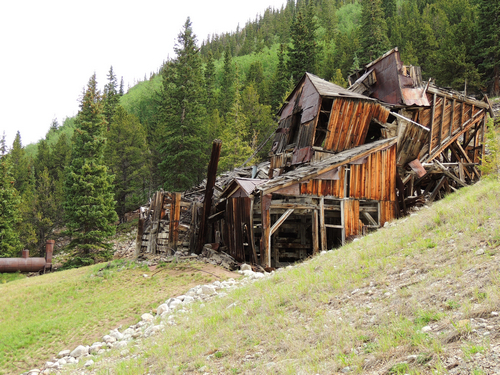 After exploring the terminal, drive up to Mary Murphy Mine. There is not much left of the mine, but the views are nice. Go back down and continue up the gulch to an overlook of Pomeroy Lake at the end of the road.